Windows come in all sizes and shapes. The type of windows that work well in your home can be influenced by the architecture of the house. There are several styles of windows commonly found in homes. Double hung, sash windows slide up and down. Casement windows are hinged and cranked out. Louvered windows are layered and also crank open and closed. Picture and stationary windows do not open. Bay and bow windows protrude from the walls. These windows come in several sizes with different pane designs. The bay and bow windows are popular with older Victorian-style homes in Sacramento and the Bay area. Horizontal sliding windows and glass doors are found in contemporary design homes. Modern architecture stresses clean lines and many windows to allow extensive light into all rooms. A traditional American Craftsman design features the double hung window with wood sashes and frames. The wood reflects the style of this popular design that originally featured fine wood crafting and straight, simple lines. The Craftsman style is also known as the California Bungalow found throughout the state. The single story or split-level ranch style home, always popular in California, features longer narrow windows and a picture window. Sliding glass doors are used for patios. Spanish Mediterranean architectural style is also known as California Mission style. This classic design that has been modified for more modern stucco homes often features arched and circular windows. Rectangular windows often have grid patterns. French doors and hinged casement windows are found with newer versions of this style. Cape Cod designs found their way to California with multi-pane window and shutters decorating most sides of the house. Fold-out French doors with glass panes complement this style. 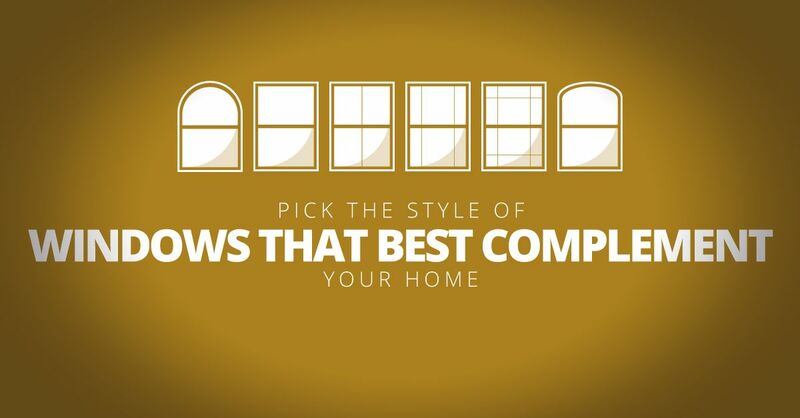 When it finally comes time to choose replacement windows for your home, it’s good to have an expert on your side. When you contact us at Straight Line Construction in Sacramento, we treat you like family in helping you decide what’s best for your home and lifestyle. We have top-of-the-line energy efficient windows for all architectural styles and highly trained installation crews. When you go with us, you get more than a window, you get a business that you can call with any question or concern, anytime.